We are at the precipice of a significant milestone in the history of our country. Barring anything unforeseen, in July, the expansion which began in 2009 will mark the longest period of uninterrupted economic growth since the National Bureau of Economic Research (NBER) began collecting data in the 1850s. It will finally eclipse the decade of prosperity the U.S. enjoyed in the 1990s, having already surpassed the 1960s and 1980s. The difference is those expansions were sustained by high rates of real productivity growth, whereas the current cycle is hallmarked by record low interest rates engineered by the Federal Reserve (Fed). Understandably, there is widespread angst that the next recession may be imminent given the anemic productivity growth of the past 10 years, particularly since the decade prior featured two recessions accompanied by deep and extended equity bear markets. As anxiety becomes more pervasive, it is helpful to remember economic expansions are not divinely ordained to die of old age. They come to an end when policymakers create an environment in which consumers stop spending and businesses cease investing. In late 2018, capital markets began to convulse after a long period of abnormally low volatility, sensing two policy errors could prematurely end the expansion: the first, by the Fed, which set a more aggressive course for raising interest rates and reducing its balance sheet than the economy could handle; the second, by the administration, which imposed more punitive tariffs on a broader range of imports as the trade war with China intensified. Markets were concerned these two mistakes would offset the stimulus the economy was still enjoying from the Tax Cuts and Jobs Act of 2017, which was explicitly designed to boost productivity growth by amplifying business investment. This year started with a dramatic change in course on both fronts. In one of the biggest policy U-turns in history, Federal Reserve Chairman Jay Powell signaled to markets in early January that the Fed was unlikely to raise rates this year and would also likely begin to taper its balance sheet reduction. By early spring, sufficient progress had been made on trade negotiations with China to avoid an immediate escalation in tariff increases. As a result, stock markets experienced a meaningful relief rally from their December lows. As stocks celebrated, bonds rallied, too. Long-term interest rates declined steadily throughout the quarter as fixed income markets priced in the reality that the economy was going to grow more slowly than it had over the previous eighteen months. Ominously, by the end of the quarter, one measure of the slope of the yield curve inverted, when the yield on the 3-month Treasury bill briefly exceeded the rate on the 10-year Treasury note. No recession within the past 40 years has occurred without the yield curve sustainably inverting 12-18 months beforehand. This bond market signal is always on our radar, and our discipline measures its effects to assess how cheap or expensive stocks are relative to bonds. Our view is yield curve inversion needs to be sustained as well as corroborated by other capital markets’ signals before concluding we are set for a recession next year. 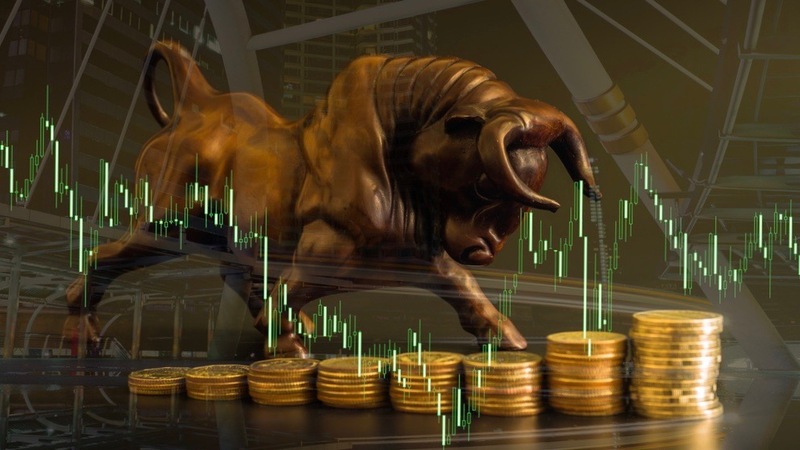 It now appears the sharp stock market correction we saw during the fourth quarter was a “bull pause” and not the first signs of “bear paws,” as the title of our last quarterly commentary pondered and in line with our hypothesis at that time. Stocks have regained momentum relative to bonds, even if they remain slightly expensive according to our models. With chances of policy errors now significantly lower, it is possible the current economic expansion can persist, allowing stocks to make further gains. Whether the domestic economy can continue to shake off pronounced economic weakness overseas will be key to allowing corporate earnings to continue to grow rather than relying upon multiple expansion for further price appreciation.